The Texas House and Senate are holding hearings today on budget, education, and healthcare issues, and congressional redistricting. SB 7 gives us another opportunity to finish the job of defunding Planned Parenthood from use of taxpayer dollars. Call your Texas State Senator and ask he/she to support SB 7 . Click here for your Senator’s contact information: http://www.fyi.legis.state.tx.us/. You can also download our Texas Legislative Guide with all of Texas’ elected officials contact information at http://legislativeguide.libertyinstitute.org/. The Texas Senate & House are here at the Texas Capitol working and so are we. The question is if and when SB 1581, the fiscal matters bill will come up in the Texas House. It has numerous amendments on it. Some we like, some we don’t like. HB 1201, repealing the authority to create the Trans-Texas Corridor, has passed the Senate. Texas Senate passed House redistricting map, Texas House passed Senate redistricting map simultaneously. Vote once again was 21-10. If Texas House concurs with the Senate on this bill, it will be done and headed to Gov. Perry’s desk for his signature! 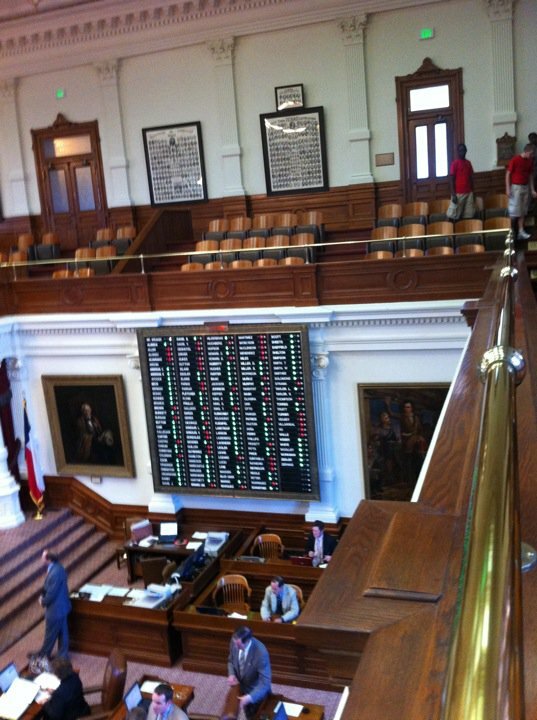 2:30 p.m. Texas Senate Passes Sonogram Bill, 21-10! Choose Life Bill not up yet in House Chamber. Please check back soon. 1:27 p.m. Amendment by Van de Putte. Amendment was tabled. 1:25 p.m, Vote: 21-10 to suspend rules to take up Sonogram bill. 12:34 p.m. Sen. Patrick announces Sonogram bill, discussing details of bill, opens issue up for debate and vote. 12:20 p.m. Texas Senate still going through memorial resolutions. Texas Senate expected to vote on Sonogram bill. Senate currently working. Texas House expected to vote on Choose Life license plate bill today. House has recessed until 1:00 p.m.